Catch reporting is a part of Monitoring control and surveillance of Commercial fishing. Depending on national and local fisheries management practices, catch reports may reveal illegal fishing practices, or simply indicate that a given area is being overfished. The general industry practice is to write out a catch report on paper, and present it to a fisheries management official when they return to port. If information does not seem plausible to the official, the report may be verified by physical inspection of the catch. Alternatively, a suspicious vessel may need to carry an independent observer on future voyages. Some Vessel monitoring systems have features that collect, from keyboard input, the data that constitutes a catch report for the entire voyage. More advanced systems periodically transmit the current catch as electronic mail, so fisheries management centers can determine if a controlled area needs to be closed to further fishing. A number of programs require tracking of days at sea (DAS) for a given vessel. 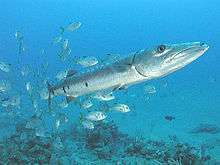 They may require tracking the total cumulative catch of a given fishery. Where the local fishery economy permits, perhaps with international funding, near-real-time catch reporting will become a basic feature of vessel management systems. Software at fisheries management centers will cross-correlate VMS position information, catch reports, and spot inspection reports. This article is issued from Wikipedia - version of the 11/11/2014. The text is available under the Creative Commons Attribution/Share Alike but additional terms may apply for the media files.